What else is there to do during a hurricane but play board games and get sorta day-buzzed, right? 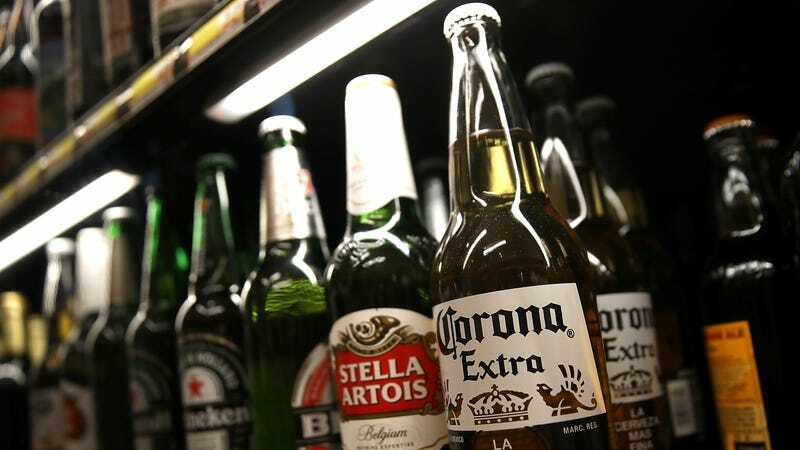 That’s going to be a lot more difficult in Cape Coral, Florida, following the City Council’s decision to allow officials to suspend the sale of beer during the lead-up or response to a state of emergency. CBS-12 reports the decision expands a law that allows Emergency Management to also ban the sale of liquor during such an emergency. While I understand the safety rationale behind wanting to keep drunk drivers off the roads, it doesn’t seem like stocking up on beer prior to a weather event would necessarily cause more DUIs. After all, presumably the city residents will be carting those 30-racks back to their house, not consuming them in public or at bars. Even police chief David Newlan told a council member at the meeting that there had been no increase of DUIs following Hurricane Irma, according to the Daily Breeze. I have some experience with the crucial role beer plays in waiting out severe weather. A few years back, my family was evacuated from an island in Florida where we were on vacation, as a hurricane was barreling toward the state’s Gulf Coast. We quickly piled supplies (read: food and beer) into the car, anticipating at least a few days’ worth of confinement in some boring mainland hotel as we waited out the storm. Thankfully, the summer Olympics were taking place, and we were able to pass a few days drinking Pacifico and learning about B-list sports like dressage—which would have been a lot more painful sans booze.